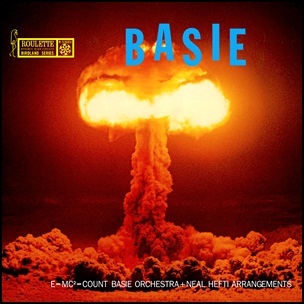 In January 1958, “Roulette” label released “The Atomic Mr. Basie”, album by Count Basie and his Orchestra. It was recorded on October 21 and 22, 1957, at “Capitol Studios” in New York City, and was produced by Teddy Reig. At the 1st “Annual Grammy Awards”, the album won “Best Jazz Performance, Group” and “Best Performance by a Dance Band” awards. All tracks composed and arranged by Neal Hefti, except where noted. 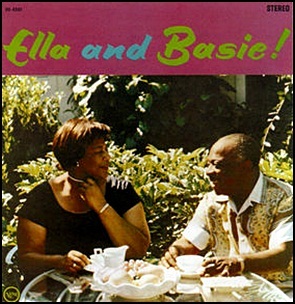 In September 1963, “Verve” label released “Ella and Basie!”, studio album by Ella Fitzgerald and Count Basie and his orchestra. It was recorded in July 1963, at “A&R Studios” in New York City, and was produced by Norman Ganz. 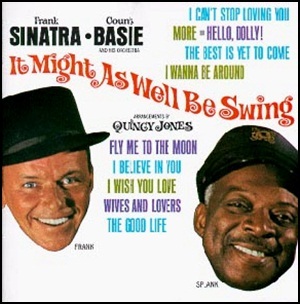 In August 1964, “Reprise” label released “It Might as Well Be Swing”, studio album by Frank Sinatra, accompanied by Count Basie and his orchestra. It was recorded June 9–12, 1964, Hollywood, and was produced by Sony Burke.